Recommended Dosage: 500-1000mg, 1 to 3 times daily with food for nootropic effect, and no more than 2g per day for most users. Always start with smaller quantities to find optimal dosage. May be used in greater quantities as a joint nootropic and sports supplement, but users should research usage and consult a physician prior to doing so. Directions: Acetyl L-Carnitine is water soluble. Recommended to take with food. Do not use if you are pregnant/breastfeeding. Extremely rare side effects may include allergic reactions. Consult a doctor prior to using. By using our products, you agree to our terms & conditions. Acetyl L-Carnitine or, ALCAR is the acetylated version of the popular sports supplement, L-Carnitine. L-Carnitine is important in many bodily functions including energy metabolism. ALCAR has a range of different effects than L-Carnitine because it is much more bioavailable and metabolizes differently. Unlike L-Carnitine, ALCAR is thought to be a nootropic. ALCAR has many benefits but its highest benefit is as a nootropic. It works as a strong antioxidant which helps protect the brain from various dangers. Acetyl L-Carnitine has been suggested to be a precursor to Acetylcholine which is a neurotransmitter important in learning and memory. ALCAR is a powerful antioxidant and neuro-protective agent. It is believed that it helps to reduce elements of oxidative stress such as protein oxidation. Acetyl L-Carnitine is also thought to help reduce excitotoxicity. In one experiment, administration of ALCAR helped to reduce cell death after exposure to an excitotoxic amino acid derivative and glutamate receptor agonist (NDMA). It is quite possible that ALCAR works on other areas of excitotoxicity resulting from various circumstances. 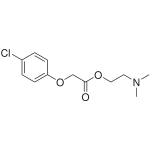 ALCAR has been suggested to play a role in the production of Acetylcholine. When Acetyl L-Carnitine is ingested it can be converted into L-Carnintine and acetyl moieties. The acetyl moiety in ALCAR binds with Coenzyme A to create Acetyl-COA. Acetyl-COA combines with free floating choline in the body and is then catabolized by an enzyme to convert into Acetylcholine. For this reason, ALCAR is not a direct precursor to Acetylcholine because choline must be present (which it commonly is). ALCAR has nootropic and neuro-protective benefits. It does not seem to have the fat burning and metabolic benefits of L-Carnintine however this may be disputed. ALCAR works great alone if you want a substance to help protect your brain from oxidative stress. Better cognitive results often happen when ALCAR is stacked with other nootropics. The main nootropic benefits of ALCAR will be consistent with higher acetylcholine levels. Low acetylcholine is linked to cognitive deficient and low energy levels. Although ALCAR helps in the production of Acetylcholine, nootropic benefits may not be apparent when taken alone. For this reason, ALCAR is highly recommended to stack with other nootropics. Below is a list of typical benefits seen in an ALCAR + racetam/ampakine combination. ALCAR is often stacked with a cheap choline salt like choline bitartrate or citrate because it acts synergistically to produce Acetylcholine. Some people will use this stack as a cheaper alternative to more expensive acetylcholine intermediates such as alpha GPC or citicoline. ALCAR by itself or in a choline stack will also work great with the racetams and ampakines. Boosting the level of Acetylcholine will allow for a synergistic combination with racetams which act as Acetylcholine receptor agonists. ALCAR is suggested to help protect from excitotoxic situations resulting from excess glutamate that may be a result of taking certain ampakines. For this reason, ALCAR may be beneficial when stacked with certain glutamate agonists like sunifram and unifram. Since ALCAR can be created within your body naturally, it is considered very safe and low in side effects. Adding higher than normal doses can trigger some mild and unpleasant side effects that one should be aware of including headaches. Usually ALCAR will be used in conjunction with other nootropics to get proper cognitive benefits. It is commonly mixed with choline sources which can trigger headaches. This is believed to be caused by too much Acetylcholine which causes the AcH receptors to work too hard. If this is the case, it is recommended to back off on the choline. If you are stacking ALCAR with choline and racetams, try removing the choline source to see if it resolves the headache. If after a few days the headache persists, remove ALCAR as well since you may produce more than ample amounts of Acetylcholine to facilitate racetams. The average dosage of ALCAR for nootropic purposes is 500mg – 1000mg. You may choose to modify this dosage to meet your personal needs. Going higher than 1g in a single dosage may considerably increase the chance of side effects, and more than 1g per day can result in unpleasant side effects for some individuals. It is recommended to start at the low end and gradually increase amounts until an optimal dosage is determined for each person. Alpha GPC and citicoline seem to have higher chances of triggering side effects when used with ALCAR and are not recommended to stack as they are strong on their own. I’m hoping for exciting things! The last few days I’ve been taking ALCAR (900 milligrams) with L-Tyrosine in the mornings. So far I’ve noticed a little of an energizing effect but it doesn’t really compare to Racetams. One day I upped the dosage to 2700 milligrams, there’s wasn’t a big difference in energy level but I noticed for about an hour and I had a really uplifting sense of optimism about the world. I went off one of my 90 day periods of #nobooze recently, while I haven’t gotten drunk yet (it would be the second time this year) I’ve found ALCAR offsets the cobwebs the next day. I believe the science indicates ALCAR protects our DNA from the effects of alcohol. On a night out on the town, I consumed a good German beer, a glass of red wine and a Gin & Tonic, I took ALCAR before going to bed, which I don’t recommend, I had a terrible time falling asleep… This was probably partially due to the alcohol (a notorious sleep disruptor) but I felt a little of a Nootropic energy buzz and suffered from a racing mind that kept me from succumbing to the dream world. It’s actually quiet pleasant to consume, so taking it sublingually is not at all unpleasant, it has a quiet tangy taste kind of like Phenibut, that I wouldn’t mind adding to a beverage or my bottle of S. Pellegrino. I’m coming to the conclusion that this isn’t really a performance enhancing Nootropic. 222 queries in 1.738 seconds.